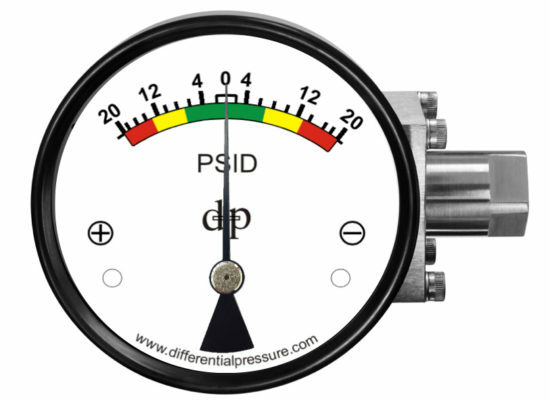 Differential Pressure’s engineering team is here to help with your craziest ideas. We love working on unique applications and can customize our products more than you can imagine. From 1 gauge to 10,000, custom mounting brackets, pre-installed fittings, manifolds, and much more. 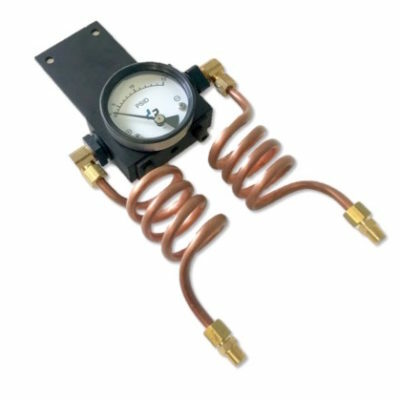 A customer recently requested we supply a set of gauges with custom copper coils to cool the fluid before entering the gauge. This unique design required we create a gauge where the pointer rests in the center. Depending on how the customer’s system behaved, the pointer would indicate which port was higher pressure. 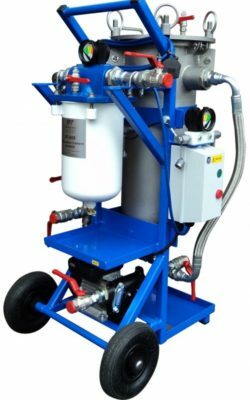 This filter cart perfectly integrates two of the DPP975 filter status indicators. This helps ensure fuel is being filtered properly and informs the operator when to change the cartridges. 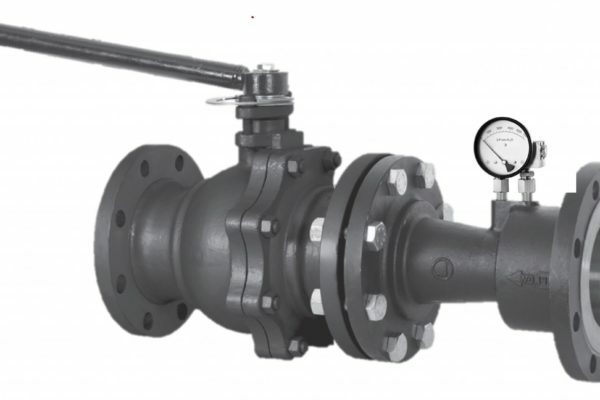 Differential Pressure has a customer that requires a preinstalled bypass valve. We have used high quality stainless steel components, bend all tubing in house, leak test the entire assembly, and have created a custom packaging solution. Production on this design is between 60-75 per month. We have a customer that measures leaks in large pressure vessels. They require a differential pressure gauge, a series of valves. and an enclosure to house everything. 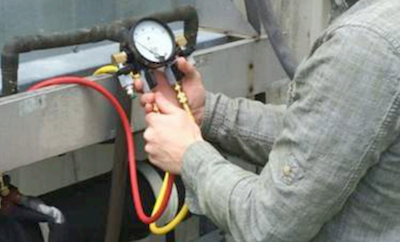 By pressurized the tank, then measuring a very small differential pressure (1″ H20) they can quickly detect leaks. This product is available upon request from DPP. 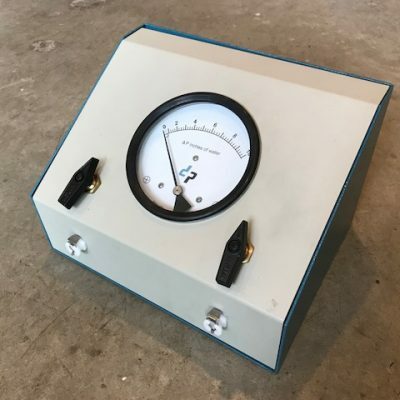 This portable differential pressure kit allowed 1 single customer the ability to have a more cost effective solution for monitoring his filters. 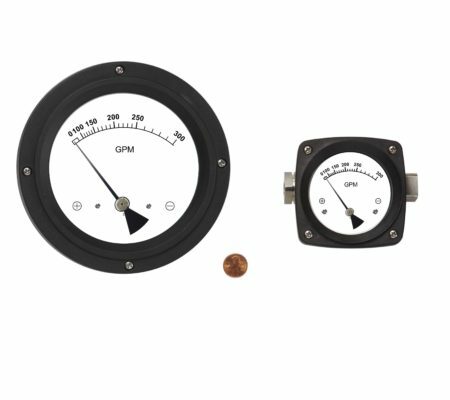 Rather than adding gauges to every filter, he added measurement ports that our gauge could connect to. This product is available upon request from DPP. This application requires Differential Pressure design a custom dial using the flow data of a specific venturi. We took the customer’s table of flow vs differential pressure and created this one of a kind dial that displays information relevant to the operator. 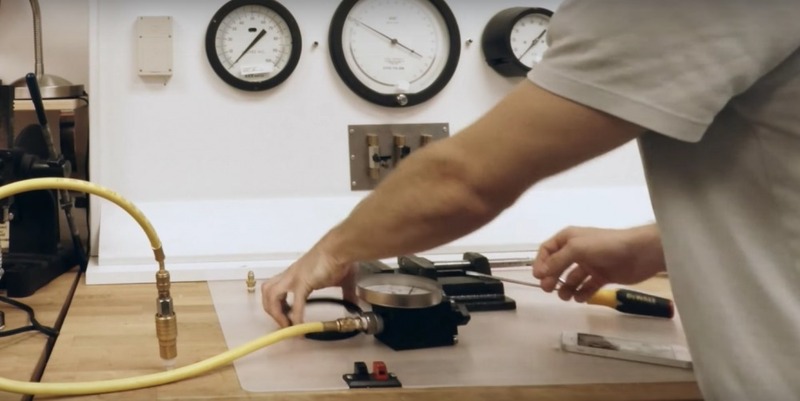 This saves user error in having to compare a differential pressure reading to a flow table. 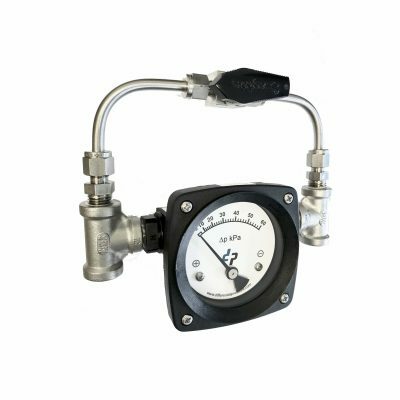 Differential Pressure has a customer that requires we supply a set of preinstalled fittings into a gauge with bottom ports. These fittings allow the gauge to be mounted directly into a filter head. 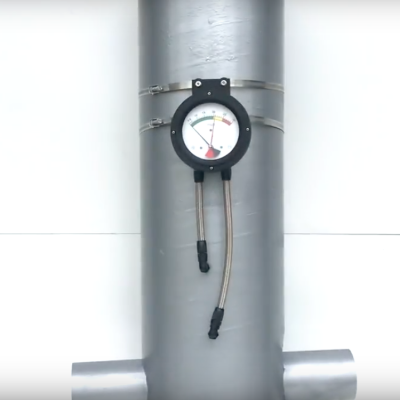 This application requires Differential Pressure create a kit and a custom flow measuring gauge. 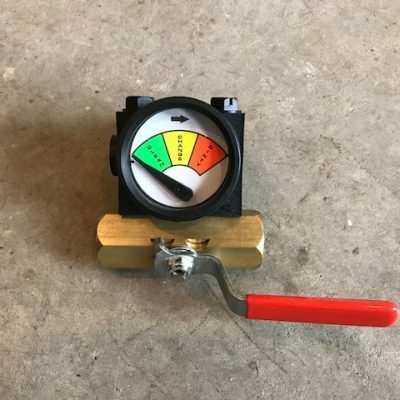 The end user could then install the gauge directly into their balancing valve. This product is available upon request from DPP. This collaboration required DPP work with a valve manufacturer, have them produce a custom valve to our spec, then preinstall our DPP975 filter status indicator. 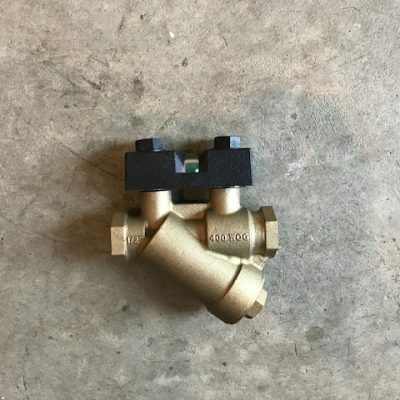 The end user uses this valve as a 2-in-1 product that allows them to bypass their filter and know when to change it. This product is available upon request from DPP. This kit allows an end user to quickly mount a gauge to a bag housing. We supply a mounting bracket, set of straps, hoses and all fittings. This made things much easier for one end user who was struggling to figure out a way to mount a gauge to their system. This product is available upon request from DPP. This brass strainer uses two connecting ports that used to be for standard pressure gauges. The end user decided to collaborate with us and incorporate our DPP175 filter status indicator directly into every strainer. Monitoring this strainer couldn’t be easier now!